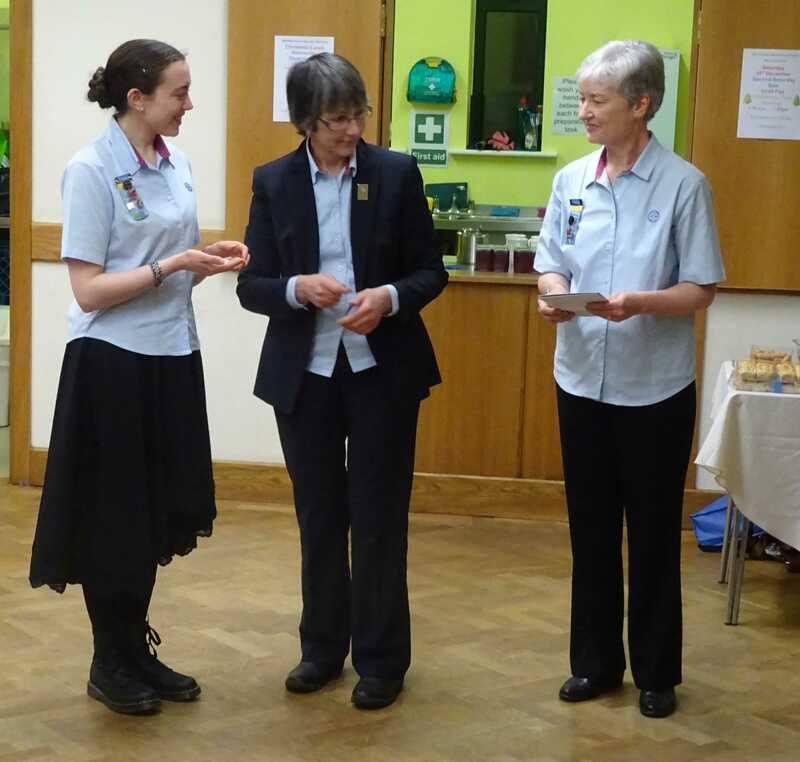 Katie Dutta, Leader with 3rd Old Colwyn Brownies, held a celebration evening recently with her Brownie unit to mark the achievement of earning the highest award possible in Girlguiding, the Queen’s Guide Award. The award was created in 1946, and over 22,000 girls have completed the award since it’s creation. Katie worked towards the award over three years, completing a series of tasks; these included learning Martial Arts as a new skill, planning and undertaking an four-day exploration of Manchester’s Industrial Heritage, gaining her Going Away With licence by organising a weekend away for her Brownies, and designing a Guiding Heritage Challenge badge which was supported by Colwyn Bay Townscape Heritage Initiative. 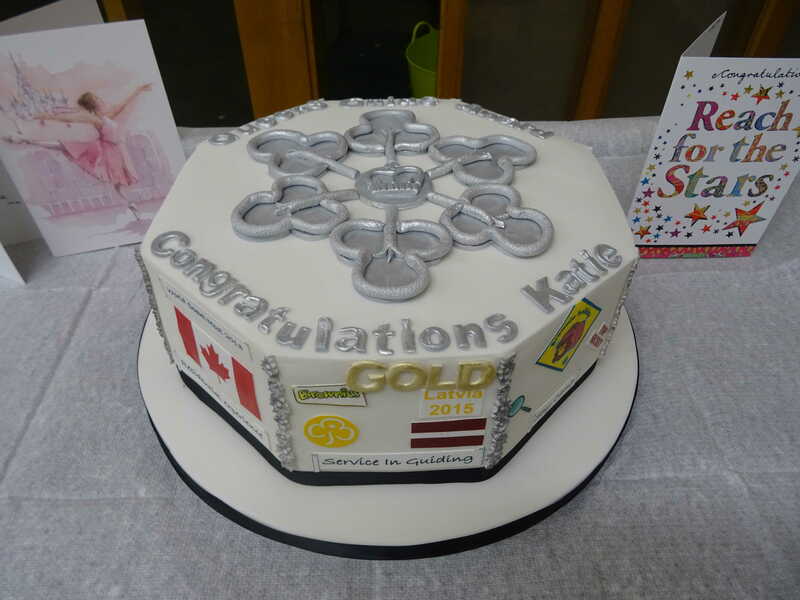 Katie invited people who have helped her to achieve the award, created a display to show everything she did to complete the award, and had a special cake made to commemorate the occasion. 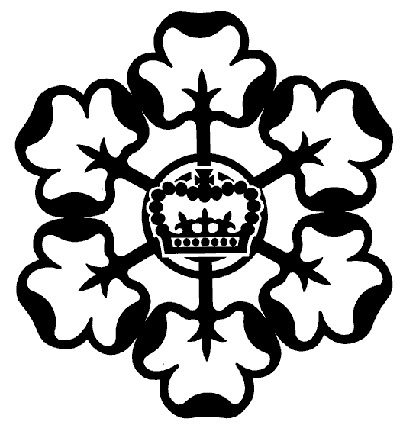 Katie will attend an official presentation in the Palace of Westminster in June, where she will meet other recipients of the award, and be officially presented with her silver Queen’s Guide Award badge by the Chief Guide, Valerie Le Valliant. 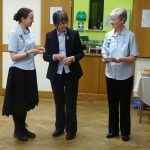 Katie receives the award from Isabel Blore the County Commissioner for the Girlguiding county of Clwyd. The cake created for the event. 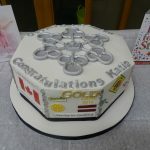 Each side of the cake depicts a different element of what Katie completed to gain the award.